Wasn't even supposed to be close. On paper, the 2004 Los Angeles Lakers were one of the best teams in NBA history. The Kobe-Shaq duo that had won three straight titles from 2000-02 was still intact, joined by future Hall of Famers Gary Payton and Karl Malone, who were ring-chasing at the end of their respective careers. The Lakers went a somewhat disappointing 56-26 in the regular season but still finished first in the Western Conference. They then dispatched the Rockets, Spurs and Timberwolves to reach the NBA Finals. “The question isn’t who wins, but how long the Los Angeles Lakers toy with the Detroit Pistons en route to a 10th NBA Championship. Five games? Six? Either way, you can count on the Pistons being exposed pretty quickly as just another Eastern Conference pretender. Make this quick, please. Make it painless as possible. And in the process, make one last stab at greatness. The Lakers need to do all of us – fans, media, the NBA – a huge favor and jump all over Detroit. Just stomp on them. Beat them down and wipe them out in four games.Before the Pistons threatened to bore us to death. Really, did the NBA need this? Another dulling, defensive-minded team from the East to stifle one more championship series? This figures to be the Lakers’ least interesting series of the postseason. The NBA deserved better than this. Mothers of the Pistons deserved better. When some people audaciously suggested the Lakers-Pistons series could be close (while maintaining that L.A. would win), the Ventura County (CA) Star was quick to quash the sentiment. This could be wishful thinking. Or it could simply reflect the reality that, on paper, this series looks no more competitive than the Lakers’ last two visits to the NBA Finals, when Eastern Conference champions mustered all their talent — and won one of nine games. And so it’s time to stand this particular bit of wisdom on its head. To wit: When it’s over, this series will not have been as competitive as it looks. Even the hometown Detroit News thought the Pistons should be happy to be there. All they know is, in the end, the ledger reads Pistons in six. 2004 Eastern Conference Champions. Rest in Peace Pacers. Who cares that they now face the best team on the planet in the NBA Finals, who could embarrass them in four games? The goal is to get to the show and take your chances as a long shot. But as they say you cannot win the lotto until you buy a ticket. The Pistons bought a crumpled up ticket that lay in the mud for 48 minutes. But the numbers are still good until the Lakers stamp them out. This compilation of experts predicting how the series would turn out pretty accurately sums up general opinion. Of course, you know what happened next: The Pistons outscored the Lakers by 45 points over five games and won the series 4-1. Kobe and Shaq put up big numbers for L.A., averaging a combined 49.2 points per game, but the rest of the Lakers totaled only 32.6. The Pistons rode their balanced attack to the third NBA title in franchise history. 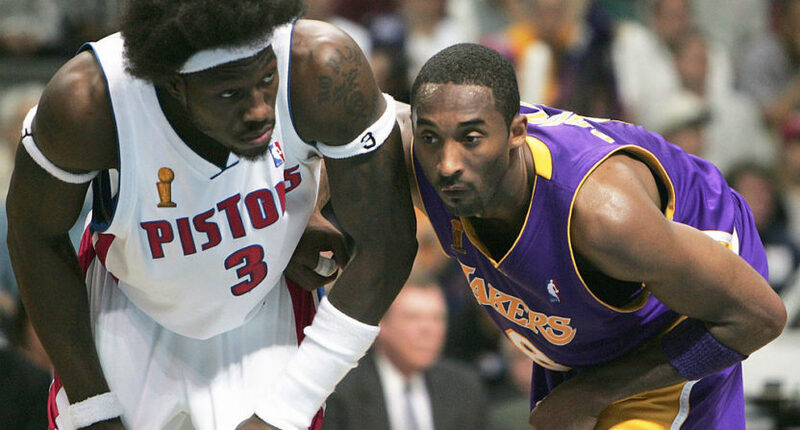 If we can learn anything from the Pistons-Lakers series, it’s that even a team considered vastly superior can slip up and lose a series. In other words, have hope Cavaliers fans.